Lying on an ancient flood plain in the beautiful Fraser Valley, amongst some of Canada’s richest farmland, is the town of Chilliwack, The City of Festivals and the starting point for Rainbow Country. Only an hour east of Vancouver, Chilliwack is one of the largest communities in the Fraser Valley, serving as one of the main economic, educational and cultural hubs of the area. The history of Chilliwack stretches back thousands of years, beginning with the First Nations community who lived in this beautiful area and gave it the name Chilliwack, meaning “quieter water at the head”. As the last ice sheets retreated around 10,000 years ago, the Sto:lo people came to inhabit the Lower Fraser Valley around Chilliwack. The importance of the river for these people is reflected in the meaning of Sto:lo; People of the River. Life for the Sto:lo changed dramatically about 200 years ago as fur trade routes extended to British Columbia. In 1828 the Hudson’s Bay Company founded Fort Langley, and the Sto:lo became part of the fur trade economy. In Chilliwack the company operated a salmon saltery at the mouth of the Chilliwack River, near Chilliwack Mountain. The Sto:lo supplied the fish and labour for this successful operation. During the years of the Gold Rush, Chilliwack grew as a steamboat landing and supply centre for those who sought their fortunes in the north. 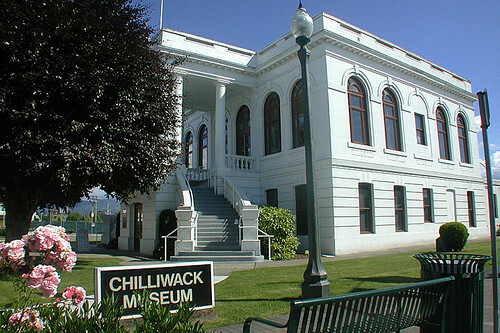 Chilliwack’s continued growth resulted in the incorporation of the Township of Chilliwack in 1873. Life on a flood plain surrounded by rivers can be unpredictable, as residents found out in 1894. A massive flood overwhelmed the community, causing widespread destruction and leading to plans to dyke the Fraser River, completed in 1903. As with many of the other Fraser Valley communities, Chilliwack was recognized for its rich potential as an agricultural Eden, encouraging further development such as the remarkable Vedder Canal, a system of dykes constructed by the Dutch community to drain Sumas Lake for more fertile farm land. Although growing rapidly, Chilliwack remains a quiet and peaceful region known chiefly for the agricultural bounty it continues to yield every year. The pace is slower, the people are friendly, and visitors are made to feel very welcome. Location: Chilliwack is located between the Fraser River and the Trans-Canada Highway 1, approximately 50 miles (80 Km) southeast of Vancouver. Your window to the past is the Chilliwack Museum, housed in the former City Hall building, a classical structure completed in 1912. Exhibit themes are chosen to reflect the diverse backgrounds of the people who live in the valley. The archives include 10,000 photographs, sound recordings, maps and books. The Village Walk takes in local businesses operating in older vintage homes in an especially quiet and peaceful area of historical downtown Chilliwack. These heritage buildings include the unique Magnolia Manor Gallery, operating in a 1932 Georgian Manor Home, the Green Gables Parlour in their 1909 Henderson House, La Mansione Ristorante in an 87-year-old mansion, and the early 1900s Gingerbread Teahouse. 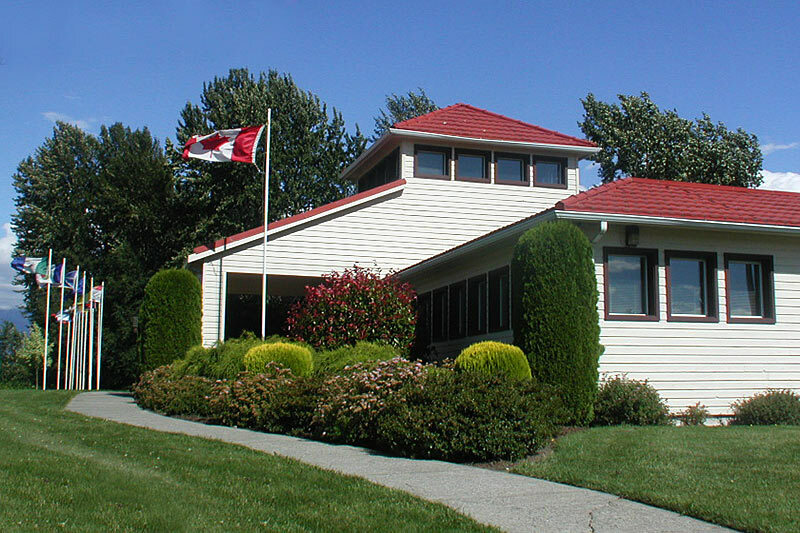 Driving History Tour: The Chilliwack area is a community of communities linked by an excellent network of urban and rural roads that offer pleasant sightseeing by either car or bicycle on a Driving History Tour. In addition to grand vistas of farmland set against a mountain backdrop, the roadways offer glimpses of man-made monuments that mark the history of the area. 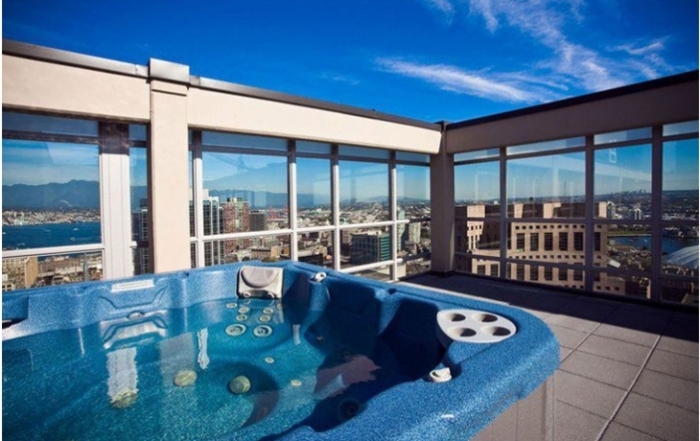 The tour could include Sardis, Vedder, Promontory Heights, Greendale, Yarrow and Rosedale. A must-see for machine and history buffs is the Chilliwack Antique Powerland, home to the Atchelitz Threshermen’s Association, just behind the Visitor Centre in Chilliwack. Atchelitz is a native word meaning friendly meeting place. View a working blacksmith shop and displays of old cars, trucks, horse equipment, tractors, steam engines, gas engines and local artifacts used in early years. Shxwt’a:selhawtxw The House of Long Ago and Today…was born from a need for teachers and students to experience aspects of the Sto:lo way of life, Philosophy, technology and culture in a non-museum, hands-on approach. Tour the Sto:lo Longhouse, participate in demonstrations of fishing, weaving, carving and much more. Shxwt’a:selhawtxw is located in Vedder Road, Chilliwack. And yes, there will be a spelling test before you can log off this page. Follow a 20 to 30-minute loop trail through the natural settings of the Chilliwack River Hatchery, where steelhead trout, chinook, coho, pink and chum salmon are incubated and reared for release into the area’s rivers. The unique little Greenhill Acres farm in the hills of Chilliwack overlooking Cultus Lake offers specialized agro-tours. The mixed farm raises cattle, pigs, chickens, herbs and garlic, to mention just a few. The petting zoo is open, the coffee’s hot and the picnic tables are out for visitors’ enjoyment. The farm has a great selection of honey, jams, jellies, homestyle preserves and pickles. Ask at the Visitor centre for more information. One of the area’s most beautiful views is the cascading Bridal Veil Falls in the scenic and picturesque Bridal Veil Falls Provincial Park south of the town of Bridal Falls. Roaring and rushing 125 metres down the craggy face of Mount Cheam, Bridal Falls is Canada’s sixth largest waterfall and a true splendour to behold. The falls are a short 15-minute walk along a well-modulated trail. 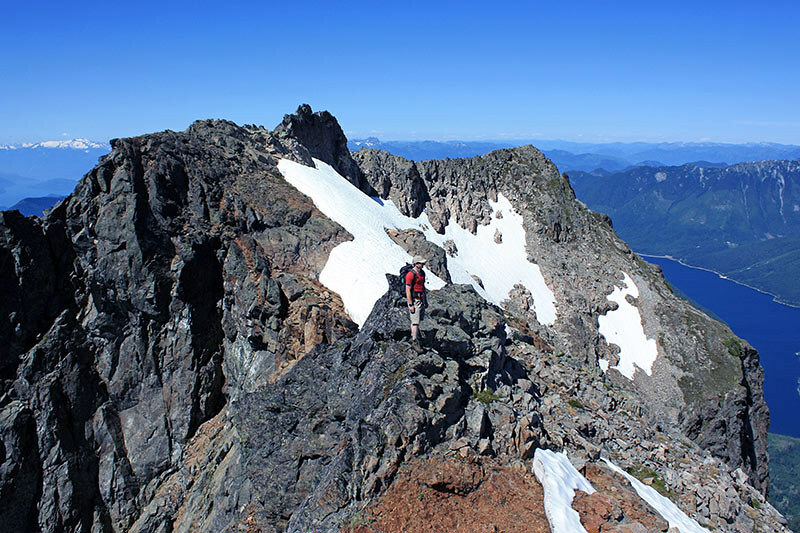 Hiking: It’s well worth taking a guided hike that follows Bridal Falls Creek as it courses through beautiful Bridal Veil Falls Provincial Park before passing into nearby Cheam Lake Wetlands and then into the mighty Fraser River. Fun and excitement awaits the entire family at Water Slides, at the intersection of Highways 1 and 9, where 10 exciting waterslides, miniature golf, a giant hot pool, volleyball, a children’s playground, and a space-age video arcade are offered. Golf: Chilliwack and neighbouring Sardis have a number of golf courses to choose from: Nestled beside Mount Cheam, the world-class Falls Golf & Country Club surrounds golfers with towering cedar trees, cascading waterfalls, and breathtaking views in a unique mountainside setting (18 holes); Chilliwack Golf & Country Club is a semi private facility featuring magnificent tree-lined fairways, a creek that meanders through the back nine, and breathtaking mountain vistas in every direction (18 holes, Par 72); Pebble Beach Golf Course is a 9-hole, public golf course on Wolfe Road; Meadowlands Golf & Country Club on Yale Road East has offered a classic, year round golf experience since the early 1930s, forgiving to the novice yet challenging to the seasoned golfer (18 holes, Par 69); Cheam Golf Centre on Luckakuck Way in Sardis is a public golf course (18 holes, Par 56); Kinkora Golf Course on Higginson Road in Sardis is a public golf course (18 holes, Par 56); and the The Royalwood Golf Club offering a unique and challenging 18-hole par-72 links-style course set amongst the Coast Mountains to the North and the Fraser Canyon and mountains to the Northeast, with Wildlife in abundance. Facilities at Royalwood include a 69 site RV Resort. Golf Vacations in British Columbia. Whitewater Rafting & Kayaking: Chilliwack may be named after quieter waters, but don’t let that fool you. Some of BC’s best whitewater rafting and kayaking is to be had here. Famous for its long, continuous rapids and spectacular mountain scenery, the Chilliwack River, near the foothills of Mount Baker, offers exciting rafting from May through July. Come and attack the Wacks, Tamahi, and the Sawmill Rapids. Whitewater Rafting in the Fraser Valley. 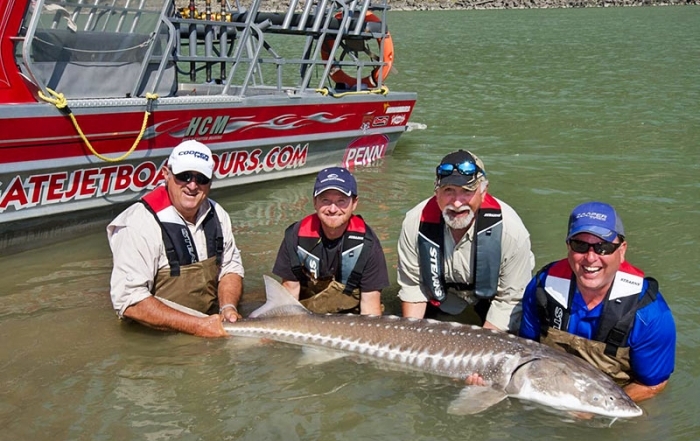 Fishing: Five local rivers in the beautiful Fraser Valley offer year-round fishing that includes giant sturgeon, tackle-busting chinook and feisty sockeye that return to the Fraser River every year. Chilliwack allows you to experience some of the best fishing in BC. Skydiving: Experience the rush by skydiving in Chilliwack! In one day you’ll learn the fundamentals of skydiving, have the thrill of your lifetime jumping from 3,000 feet, then spend several minutes flying your steerable parachute until you touch down in front of your cheering friends. It’ll take days for your smile to wear off! If time is limited, absorb 30 minutes of training and do the Tandem Jump. Harnessed to an experienced instructor, you’ll jump from 10,000 feet and enjoy a 45-second freefall before your instructor deploys your parachute-made-for-two. Help steer and land the parachute, while enjoying a breathtaking view. Cycling: Cycle the rail bed of the once productive Kettle Valley Railway (Kettle River Recreation Area) on a customized Bicycle Tour. Ride through tunnels, cross over bridges and trestles, and explore some of the region’s historical attractions. View the ruins of Granite City, a gold rush town established in 1886, the Coalmont Hotel, and abandoned rail stations and water towers. Skiing: Hemlock Resort is located 8.5 miles (14 km) north of Hwy 7 from Harrison Bay. This is a small, regional winter recreation destination that is also beginning to develop its trails for summer use by mountain bikes. Because of its low elevation and close proximity to the ocean, Hemlock Valley fares better in some years than others. The depth of its snowpack depends on a pattern of sustained cold weather. Despite Hemlock Valley Ski Area’s low elevation, local skiers and snowboarders make the most of its three chairlifts (one triple, two double), which access its rolling, contoured bowl – when it’s open. The season here runs from December to March. Skiing & Winter Activities in the Fraser Valley. Chilliwack Lake Provincial Park is located about 30 miles (50 km) east of Cultus Lake. Situated on a bluff at the narrow lake’s north end, the park has vehicle/tent sites, the most attractive of which are located beneath some large ponderosa pines at lakeside. A wide, sandy beach spreads out below the bluff while, high above, the snowfields of Mount Corriveau present themselves like the Great Wall of China. There’s a soothing sound from the nearby Chilliwack River, which drains north out of the lake and immediately turns to whitewater. An old trail follows the river to its confluence with Post Creek. Bootprints keep the path smooth in summer, while in winter these trails are popular with cross-country skiers. You’ll find a series of beaches on the eastern shoreline of Chilliwack Lake. Three more beaches front the Forest Service recreation sites located along Chilliwack Lake Road at Paleface and Depot Creeks, and at Sappers Park at the south end of the lake, perhaps the prettiest of them all. The sand here is a very fine quality, which is a good thing because you’ll spend more time stretched out on it than in the chilly waters of the big lake. No matter which beach you choose, there are awesome views on all sides as the ramrod-straight fir forest rises to icefields and scissor-cut peaks. Chilliwack Circle Farm Tour: An action packed day of good ole’ country charm awaits you on the Chilliwack Circle Farm Tour. Learn how bees communicate, ask about an old-world tradition while visiting an organic grain and flour mill, and race the kids through the corn maze. Delight your senses at one of the most spectacular show gardens on earth, or drop by the picturesque outdoor market on the beach. You won’t be able to resist the temptation of shopping with items like handmade soaps, unique, one-of-a kind pottery pieces, farm fresh produce, goat cheese, organic beef, kosher honey, kosher grains and fresh stone-ground flours. If you’re passing through in late summer, be sure to stop at one of the many roadside stands and pick up some mouth-watering Chilliwack Corn. Check with the Visitor Centre for more details. Northeast of Chilliwack is the community of Bridal Falls, nestled on the floor of the Fraser Valley at the foot of the 2107-meter Mount Cheam. Attractions near Bridal Falls include Bridal Veil Falls, the dinosaur theme park of Dinotown, Trans Canada Water Slides, and Bridal Falls Bumper Boats. To the east of Chilliwack is Abbotsford, one of the most productive agricultural areas in British Columbia. 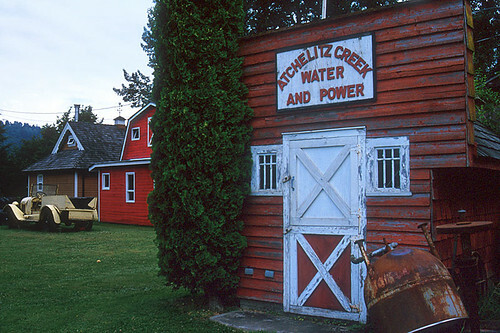 Dubbed the Raspberry Capital of Canada, the fertility of the soil and the gentle pastoral beauty have made the Abbotsford area a popular place to homestead.